With the rise in popularity of AI has come the inevitable wave of those looking to take advantage of its popularity. Startups are beginning to realize that simply saying they have “AI” capabilities leads to increased valuations, greater attention, and more possibilities. But people are starting to get wise and it’s already starting to catch up with these firms. News outlets are pointing out the fakery of media-ready robots that are really pre-scripted animatrons, and are calling out startups that are resorting to using humans to do the work of machines that are supposed to be doing the work of humans. Are these just temporary stop gaps that will be replaced with “real AI” when the technology is ready, or is this all smoke and mirrors from those who are saying they’re doing AI but really doing something less than AI? 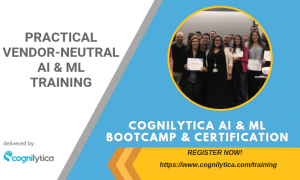 In this podcast Cognilytica analysts Kathleen Walch and Ronald Schmelzer dig into this topic and give it the airing it needs. 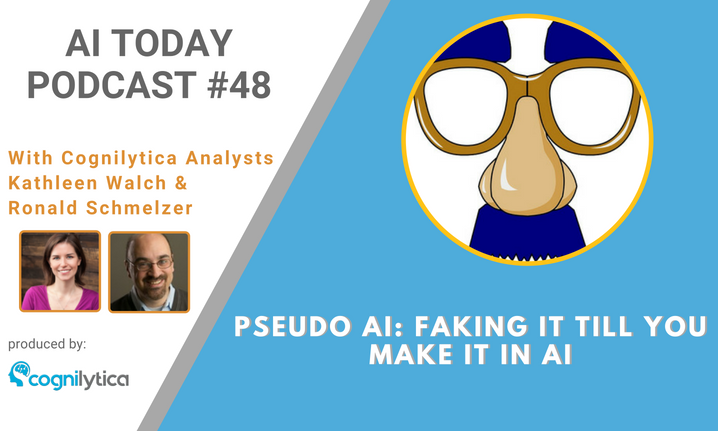 Cognilytica Newsletter: Does Fake it Till You Make It Work in AI?